Percussion has found its place in mainstream music making, evidenced by the huge success of Colin Currie's recent Southbank festival and the number of new works and arrangements for today's virtuoso players who include the spectacular O Duo. This, their second album for Champs Hill Records, features a wide range of repertoire from Bach and Vivaldi to Philip Glass and Fraser Trainer. The modern marimba and modern multi-stick techniques allow players to perform virtuosic and demanding music such as the Presto from Vivaldi�s Quattro Stagioni, as well as the intimately lyrical - as demonstrated by O Duo�s transcription of the Sarabande from Bach�s French Suite no.5. The music of Alb�niz - his Suite Espa�ola, character pieces representing the different regions of Spain - transcribe brilliantly for percussion. O Duo�s arrangement positively sparkles, making the most of the music�s chromatic sidesteps and its melodic beauty. Prokofiev's Harp Prelude sounds entirely idiomatic for percussion, as does the seventh movement of Ligeti�s Musica Ricercata, and sits comfortably alongside Philip Glass�s Mad Rush. British composer Fraser Trainer wrote a double concerto for percussion and orchestra, called 'Breaking Silence', for O Duo, Sinfonia Viva and the Melbourne Symphony Orchestra in 2012-13. Silence Twice Broken is a newly written piece for duo alone, based on material from the earlier work. 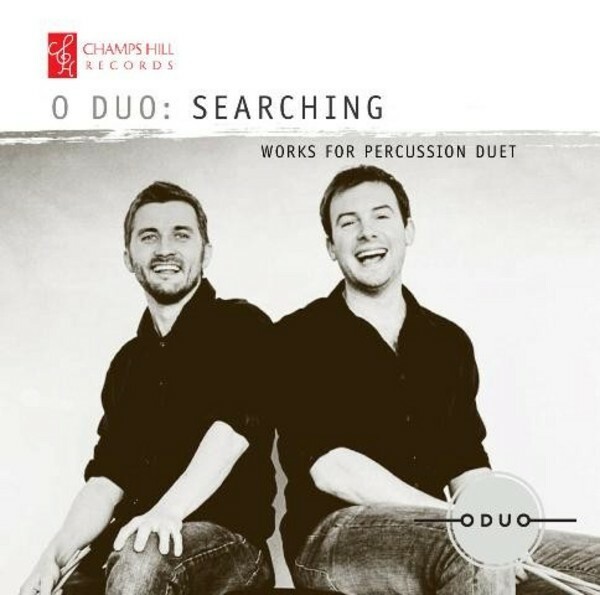 O Duo�s own composition from 2011, Searching, represents a journey spent - as the title might suggest - 'searching' for something, and the emotions and feelings which this journey throws up - sadness, longing, excitement, anticipation among others. Described by The Daily Telegraph as �brimming with style and panache�, in recent years O Duo has won a Special Commissioning Award from the Borletti-Buitoni Trust and has been appointed Artistic Directors of the Children�s Classic Concerts series in Scotland. Owen Gunnell and Olly Cox reveal their artistic quality, passion for commissioning new repertoire and dedication to education work.